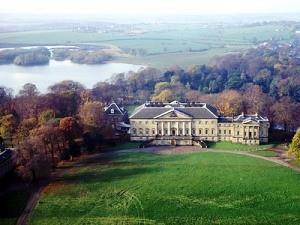 Parkland at National Trust Nostell01924 863892work Country ParkThere are over 300 acres of parkland to explore and enjoy at Nostell. You can wander the footpaths passing the Robert Adam boathouse at the end of the lower lake, up to the Obelisk Lodge, down the Vista to the ha-ha and through Joiner’s Wood. Or just go wherever you fancy and enjoy the peace, quiet and fresh air. Just choose a path and see where it leads.